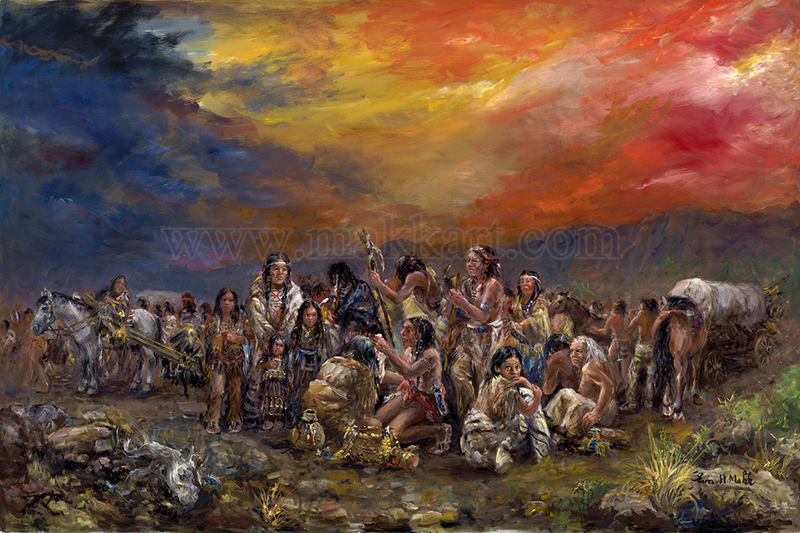 The Trail of Tears depicts Eva Makk’s rendition in a moment of the forced relocation of the Cherokee Nation. Look at the emotions in the faces of the various characters. So much going on, so much grief and anguish. Definitely a historic painting! The original sold but limited edition giclees are available.